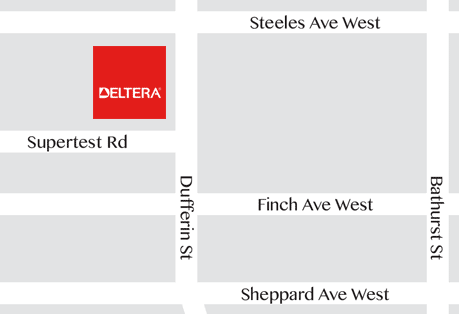 Deltera Inc. – Deltera Inc.
Over 80 years ago, Jack DelZotto founded Deltera on the principles of integrity, quality, innovation, teamwork and family values. Throughour our distinguished history, we have continued to embrace and incorporate these principles into everything we build. Our objective remains consistent: to provide exceptional value and service while helping you achieve your goals. Deltera has an impeccable reputation for quality construction, sustainable design, industry-leading purchasing power and construction practices all of which are accompanied by on time and on budget delivery. Over the years we have received many outstanding awards, but our most notable achievement is our list of long-term clients. Our clients come back because they can rely on our creativity, expertise amd entrepreneurial approach, which allows them to focus on their core business. -Heather Tremain, CEO, Options for Homes. We’re building benchmarks, one project at a time. Let us build yours.